Tran Huynh Duy Thuc, 50, is serving 16 years for calling for democracy and a multi-party political system in Vietnam. He is a businessman and the founder and general director of EIS/OCI, an information technology company that provided telephone and other services over the Internet. He played an important role advocating for the development of information technology and digital communications in Vietnam. In late 2005, Tran Huynh Duy Thuc created an independent research group called Nhom Nghien cuu Chan (Research Group to Revive [the country]) to study social, economic, and political issues in Vietnam. He also set up three blogging sites (Tran Dong Tran, Psonkhanh, and Change We Need) on which he posted his observations and analyses of social and political issues. The police arrested Tran Huynh Duy Thuc in May 2009. 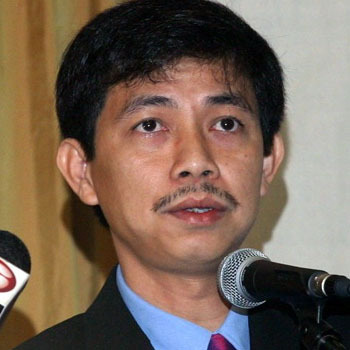 They initially accused him of evading the telephone use tax, but later charged him under article 79 of the penal code with “aiming to overthrow the people’s government.” In January 2010, the People’s Court of Ho Chi Minh City put him and other rights activists, Le Cong Dinh, Le Thang Long, and Nguyen Tien Trung, on trial for involvement in “a reactionary organization called the Vietnamese Democratic Party.” At the trial, Tran Huynh Duy Thuc lodged a complaint alleging that authorities coerced his confession, but the court ignored his motion. Observers believe his extraordinarily long sentence was in retaliation for his claim of coercion. In May 2016, Tran Huynh Duy Thuc was transferred from Xuyen Moc prison in Ba Ria-Vung Tau province to Prison No. 6 in Nghe An province. It was reported that he carried out hunger strikes in prison calling for the right of Vietnamese citizens to elect their government and to protest the government’s handling of a toxic fish crisis. Ngo Hao, 69, is a human rights and democracy activist. He is currently serving a 15-year sentence after writing articles calling for democracy. Ngo Hao has a long history of political imprisonment. He was sent to a re-education camp for four months in 1975, for being a soldier in the defeated army of the Republic of Vietnam during Vietnam’s civil war. In March 1977, government officials arrested him for his alleged involvement and affiliation with the Vietnam Alliance Party (Dang Lien minh Viet Nam). The authorities released him later due to illness, though the exact date of his release is not clear. Police arrested Ngo Hao in February 2013 and charged him with “activities that aim at overthrowing the people’s government” under article 79 of the penal code. The authorities accused him of writing and disseminating articles that distorted the work of the government and disparaged government leaders between 2008-12. The authorities also claimed he planned to carry out a so-called “jasmine revolution” in Vietnam to overthrow the government through non-violent methods. According to Ngo Hao’s family, he is suffering from poor health including high blood pressure, gastric ulcers, and high cholesterol. In January 2015, he was transferred from Xuan Phuoc prison in Phu Yen province to An Diem prison in Quang Nam province. In March 2015, he reportedly carried out a hunger strike to protest his prison sentence. Ho Duc Hoa, 43, is a businessman who owned a private investment and trade company in Vinh. He is serving 13 years for being a member of a political organization that is opposed to the Communist Party of Vietnam. As a founding member of the Vinh Human Development Fund, Ho Duc Hoa and his colleagues helped raise funds to provide scholarships to high-achieving, yet poor, high-school and university students, to enable them to continue their studies. He regularly participated in volunteer activities in local neighborhoods in Vinh on projects for the poor and persons with disabilities, the environment, and on anti-abortion advocacy. Police arrested Ho Duc Hoa in July 2011 at Tan Son Nhat airport on his return from a trip to Thailand. He was charged under article 79 with participating in the Viet Tan, a banned overseas-based political party that the government claims is involved in activities to overthrow Communist Party rule. 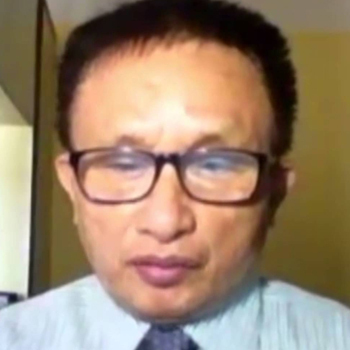 He was put on trial in January 2013 by the People’s Court of Nghe An, along with 13 other Protestant and Catholic activists (see case of Nguyen Dang Minh Man). He was accused of being “the most active” person in the group, resulting in an extremely harsh sentence. In June 2017, Ho Duc Hoa wrote a letter to his family from Nam Ha prison in Ha Nam province telling them that his health was deteriorating, citing stomach and intestinal disease. Tran Anh Kim, 68, is a former lieutenant colonel and former deputy political commissar of the Military Committee of Thai Binh town , who is serving 13 years for pro-democracy activities. In 2006, Tran Anh Kim became known as a dissident writer and as a member of Bloc 8406, a pro-democracy movement founded on April 8, 2006. Bloc 8406 is known for publishing on that day the “Manifesto on Freedom and Democracy for Vietnam 2006” (Tuyên Ngôn Tự Do Dân Chủ Cho Việt Nam 2006), which called for democratic reforms in Vietnam. It was originally signed by 118 dissidents and later by thousands of others. He also served on the editorial board of To Quoc, a pro-democracy journal founded and run by domestic and overseas activists. In 2009, he received a Hellman Hammett grant from Human Rights Watch as a writer defending free expression. Tran Anh Kim was arrested by Thai Binh provincial police in July 2009 for connections to the banned Democratic Party of Vietnam. Police charged him with “carrying out activities that aim to overthrow the people’s administration” under article 79 of the penal code. He was convicted in December 2009 and sentenced to 5 years and 6 months in prison. Tran Anh Kim was released in January 2015 after completing his prison term. Upon being released, he told the BBC’s Vietnamese service that he would continue to fight for democracy and freedom. The police placed him under intrusive surveillance. A group of fellow activists went to visit him in Thai Binh province shortly after his release. Upon leaving his house, the group was attacked by men in civilian clothes. In September 2015, Tran Anh Kim was arrested for allegedly founding a group called “National Forces Raise the Flag of Democracy” (Luc luong Quoc dan Dung co Dan chu; see case of Le Thanh Tung). Police charged him with “activities that aim to overthrow the people’s administration” under article 79 of the penal code. According to state media, his aim was “to call for the abolition of the Communist Party of Vietnam and the State of the Socialist Republic of Vietnam and the formation of a multi-party system.” In December 2016, the People’s Court of Thai Binh convicted him and sentenced him to 13 years in prison. The long sentence may be because he continued his fight for democracy after serving his first prison sentence. In August 2017, Tran Anh Kim was transferred from Ba Sao prison in Ha Nam province to prison No. 5 in Thanh Hoa province. 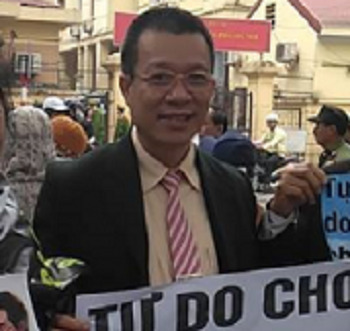 Le Thanh Tung, also known as Le Ai Quoc, 49, is serving a 12-year sentence for calling for democracy in Vietnam. Le Thanh Tung joined the Vietnam People’s Army in 1986 and was stationed in Vietnam’s Central Highlands and Cambodia. In 1991, he left the army and worked as a freelance laborer. In 2006, Le Thanh Tung began to advocate for freedom and democracy in Vietnam and a year later joined Bloc 8406. Le Thanh Tung blogged and reported as a citizen journalist about land disputes and workers’ strikes. He helped people whose land had been expropriated prepare petitions with supporting documents to hand over to the government. He also penned a number of articles urging the government of Vietnam to adopt a democratic and multi-party political system. Because of his activism, Le Thanh Tung faced a campaign of official harassment, including being subject to public criticism and forced to make a public self-denunciation. In December 2011, the police arrested and charged him under article 88 of the Vietnam Penal Code for “conducting propaganda against the Socialist Republic of Vietnam.” In August 2012, the People’s Court of Hanoi sentenced him to five years in prison. In November 2012, the People’s Supreme Court reduced his sentence to four years in prison. Le Thanh Tung was released in June 2015, a few months before the end of his sentence. But he was not free for long. Police arrested him again in December 2015 for allegedly co-founding a group called “National Forces Raise the Flag of Democracy” (Luc luong Quoc dan Dung co Dan chu; see also the case of Tran Anh Kim). The charges this time focused on “activities that aim to overthrow the people’s administration” under article 79. In December 2016, the People’s Court of Thai Binh sentenced him to 12 years in prison. In August 2017, Le Thanh Tung was transferred from Ba Sao prison in Ha Nam province to prison No. 5 in Thanh Hoa province. 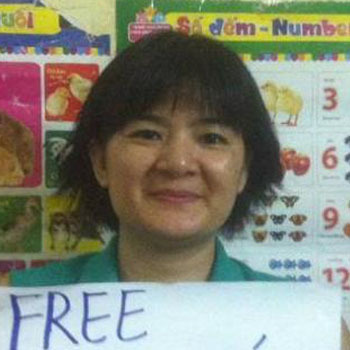 Tran Thi Nga, also known as Thuy Nga, 40, was convicted to a nine-year sentence for “conducting propaganda against the state” for advocating for labor rights. Her career as a labor rights activist began when she was injured in a traffic accident in Taiwan in 2005, where she had emigrated two years earlier to work. Neither the Vietnam government nor the manpower company that sent her to Taiwan provided her any assistance or support. From 2005 to 2008, while she was receiving medical treatment and pursuing a legal claim related to the accident, she received help from an NGO in Taiwan that also educated her about labor law, workers’ rights, and trade unionism. She returned to Vietnam in 2008 and immediately became active in helping workers who suffered mistreatment and rights abuses by employers. She also participated in anti-China and pro-environment protests, attended trials of bloggers and rights activists, and visited former political prisoners at their houses to express solidarity for their causes and provide moral support. She also served as an executive board member for the group Vietnamese Women for Human Rights, founded in November 2013. Tran Thi Nga has suffered repeated incidents of intimidation, harassment, intrusive surveillance, arbitrary temporary detention, interrogation, and physical assault. In May 2014, a group of five men assaulted her on a street in Hanoi, using iron rods to beat her. Upon hearing of the assault, fellow activists took her to the hospital, where doctors found she had a broken arm and a broken kneecap. In March 2015, several men in civilian clothing detained her in Hanoi and forcibly returned her to her hometown in Ha Nam province. During the trip, one man twisted her neck and gagged her so that she could not call for help. Two other men restrained her hands and legs while the fourth man slapped and punched her. She told other activists that she believed the men were government security officials. In January 2017, the Ha Nam provincial police arrested Tran Thi Nga under article 88 of the penal code for her posts on Facebook and YouTube that were critical of the government. In July 2017, the People’s Court of Ha Nam convicted and sentenced Tran Thi Nga to nine years in prison. 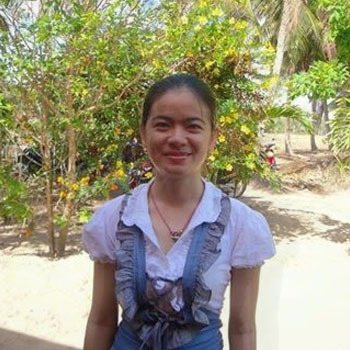 Tran Thi Nga is appealing her case and has not yet been assigned a prison but is still held in detention. Nguyen Hoang Quoc Hung, 36, is serving nine years for his labor activism and membership in Bloc 8406. 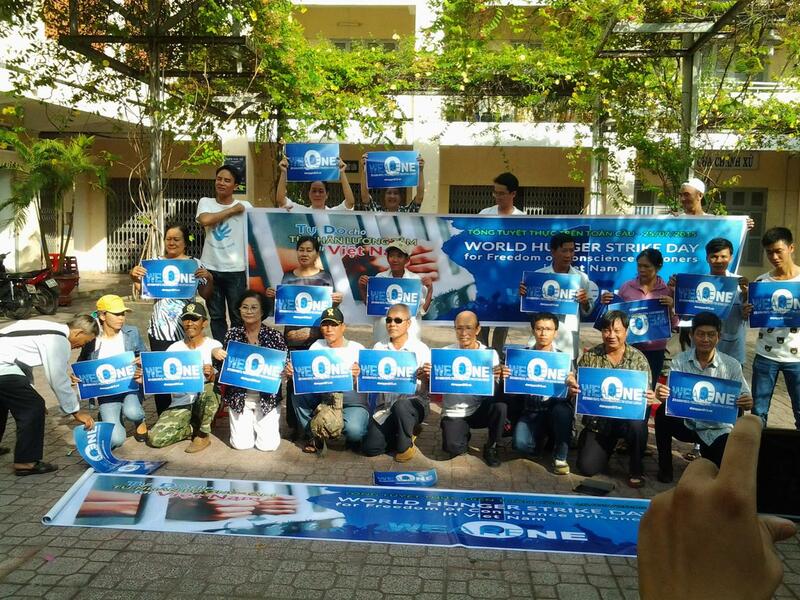 In the mid-2000s Nguyen Hoang Quoc Hung, a computer technician, began promoting labor rights and in 2006 he joined Bloc 8406, a pro-democracy movement founded on April 8, 2006. Bloc 8406 is known for publishing on that day the “Manifesto on Freedom and Democracy for Vietnam 2006” (Tuyên ngôn Tự do Dân chủ cho Việt Nam 2006), which called for democratic reforms in Vietnam. It was originally signed by 118 dissidents and later by thousands of others. From that year, police put him under close surveillance and began a campaign of intimidation and harassment against him. In July 2009, Ho Chi Minh City police briefly detained Nguyen Hoang Quoc Hung after he met with another dissident. Police reportedly assaulted him while in custody. In January 2010, Nguyen Hoang Quoc Hung helped organize a wildcat strike at the My Phong shoe factory in Tra Vinh province. Although management negotiated with the workers and promised to increase pay and improve factory conditions, government officials retaliated against Nguyen Hoang Quoc Hung and other activists they believed were behind the strike. In February 2010, police arrested him in Dong Nai province and charged him under article 89 of the Vietnam penal code for “disrupting security.” Authorities detained him incommunicado for eight months and then put him on trial in October 2010. The People’s Court of Tra Vinh province sentenced him to nine years in prison. Nguyen Hoang Quoc Hung’s case was referred to the UN’s Working Group on Arbitrary Detention. In November 2012, the Working Group found that he had been arbitrarily detained and called on the Vietnam authorities to immediately and unconditionally release him and provide him with financial compensation for the time he spent in detention. 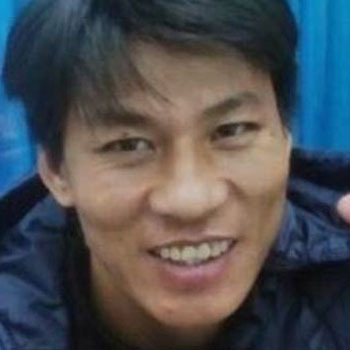 While in prison in January 2015, Nguyen Hoang Quoc Hung carried out a hunger strike for at least 10 days to protest discrimination by guards and other prison personnel against political prisoners. In September 2017, a member of Nguyen Hoang Quoc Hung’s family told a foreign-based Vietnamese website that he was serving his prison sentence at Xuyen Moc prison, Ba Ria-Vung Tau province. Nguyen Dang Minh Man, 32, is serving an eight-year sentence for her peaceful activism. As a child, Nguyen Dang Minh Man fled overseas with her family by boat in 1989. She lived in a refugee camp in Thailand for seven years before the Thai authorities sent them back to Vietnam. She began her rights and democracy activism in 2009, participating in large anti-China protests in Ho Chi Minh City about the disputed South China Sea islands. She also painted graffiti, insisting that Vietnam’s sovereignty extended over the Spratly and Paracel Islands. Tra Vinh provincial police arrested her in August 2011, along with her mother Dang Ngoc Minh and her brother Nguyen Dang Vinh Phuc and charged them with “activities that aim to overthrow the people’s administration” under article 79 of the penal code. According to the indictment, police accused her of being involved with the Viet Tan, a banned political party, and attending their training sessions on tactics of non-violent struggle in Cambodia and Thailand in 2009 and 2010. In January 2013, prosecutors put her on trial with 13 other activists (see case of Ho Duc Hoa), including her mother and her brother. The People’s Court of Nghe An sentenced her to eight years in prison (her mother received a three-year sentence, while the brother received a suspended sentence). In December 2014 and January 2015, Nguyen Dang Minh Man carried out two hunger strikes to protest the mistreatment of political prisoners. In March 2017, during a visit to her at prison No. 5 in Thanh Hoa province, her father learned that she was assaulted by a fellow prisoner a few weeks prior to the visit and then placed in a disciplinary cell for 10 days. Phan Kim Khanh, 24, is a student who was sentenced to six years in prison on October 25, 2017, for advocating democracy in Vietnam. A student at the Department of International Relations at Thai Nguyen University, during his freshmen year he helped found and manage a student club to facilitate volunteer work. Later, he served as a member of the secretariat of the board of the student association. Phan Kim Khanh received many awards from the Thai Nguyen Students Association and the Ho Chi Minh Communist Youth League of Thai Nguyen province. He also received a 2015 scholarship to attend a training course provided by the US Embassy in Hanoi for members of the Young Southeast Asian Leaders Initiative (YSEALI). The police of Thai Nguyen province arrested Phan Kim Khanh in March 2017 for founding and managing two blogs in 2015 called “Newspaper of [anti]Corruption” (Bao Tham Nhung) and “Vietnam Weekly” (Tuan Viet Nam). In addition, he allegedly opened three accounts on Facebook and two accounts on YouTube. The authorities accuse him of “continuously publishing information with fabricated and distorted contents that aim to oppose the Socialist Republic of Vietnam; most of these contents were taken from other reactionary websites.” He was charged with “conducting propaganda against the state” under article 88 of the penal code. In October 2017, the People’s Court of Thai Nguyen sentenced Phan Kim Khanh to six years in prison. 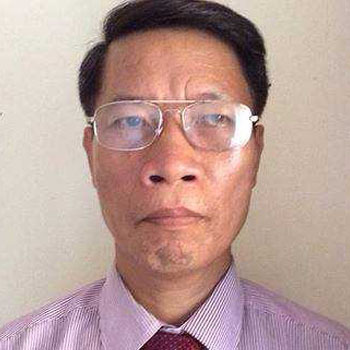 Nguyen Huu Vinh, also known Anh Ba Sam, 61, a former police officer and a Communist Party member from a prominent communist family, is serving a five-year sentence for public criticism of the ruling Communist Party and government. Nguyen Huu Vinh’s father, Nguyen Huu Khieu, was minister of labor in the mid-1960’s and Vietnam ambassador to the Soviet Union in the 1970’s. In September 2007, Nguyen Huu Vinh founded the blog, Ba Sam (Talking Nonsense). Using the motto: “Pha vong no le” (“Breaking the slavery ring”), his stated goal was to bring news from various perspectives to its readers. His site provided links to “hot news”—sometimes accompanied by short comments from the blog’s administrators—about politics, economics, culture, society, the environment, and world events from a variety of sources, including state-controlled media and individual blogs. It also published critical commentary and Vietnamese translations of overseas articles related to Vietnam’s social and political situation. During the six years it published, the website attracted several million readers from both inside and outside Vietnam. State media reported that public security ministry officials, including an unnamed vice minister, tried to persuade Nguyen Huu Vinh to stop posting articles that “oppose the Party and the State,” but to no avail. Nguyen Huu Vinh’s wife, Le Thi Minh Ha, a former police officer, says that his health has deteriorated significantly in detention. During a visit she made in October 2015, he told her there were red spots all over his body. She made urgent requests to various government officials seeking medical treatment. Le Thi Minh Ha also filed multiple petitions to the authorities, raising concerns about the arbitrary arrest of her husband, but the authorities ignored her petitions. In March 2016, the People’s Court of Hanoi sentenced Nguyen Huu Vinh to five years in prison. His colleague Nguyen Thi Minh Thuy received a three-year sentence. During the trial, the police placed many dissidents and activists under house arrest to prevent them from traveling to the court to demonstrate solidarity with the defendants. Nevertheless, dozens of bloggers and rights activists finally managed to stage a protest from the sidewalk across the street from the court. The police briefly detained several people taking part in the protest, including prominent human rights activist Nguyen Quang A.
Nguyen Huu Vinh is currently serving his prison term at Prison No. 5 in Thanh Hoa province. Nguyen Van Oai, 36, is a Catholic serving a five-year sentence for pro-democracy activism. This follows a previous four-year term for peaceful activism. 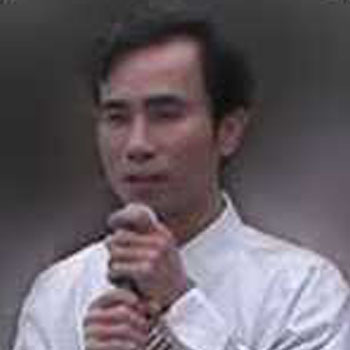 Nguyen Van Oai has long participated in anti-China protests and protests against the imprisonment of other activists. He was also involved in mobilizing support for the prominent lawyer, Cu Huy Ha Vu, at the time of his 2011 trial. He also participated in labor rights activities in Binh Duong province. Police arrested him in August 2011 at Tan Son Nhat airport after a trip abroad for affiliation with the outlawed political party Viet Tan. The police charged him with “carrying out activities aiming to overthrow the people’s administration” under article 79 of the penal code. 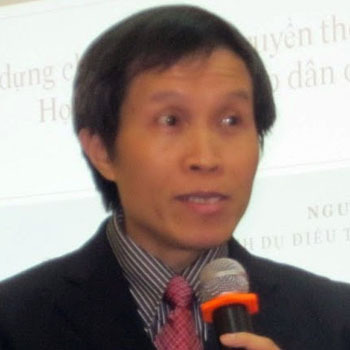 In January 2013, the People’s Court of Nghe An put him and 13 other Catholic and Protestant activists on trial, sentencing Nguyen Van Oai to four years in prison. In August 2015, Nguyen Van Oai completed his prison sentence. Upon release, he told BBC Vietnamese that he planned to “work with organizations that care about human rights in Vietnam so that the country will soon have a real democracy.” He participated in multiple protests against the Taiwanese steel company Formosa, which had caused a massive marine disaster by dumping toxic waste along the central coast of Vietnam in April 2016. The police arrested Nguyen Van Oai again in January 2017 for violating the terms of his probation term (under article 304 of the penal code) and resisting a person on public duty (article 257 of the penal code). At a one-day trial in September 2017, the People’s Court of Hoang Mai town in Nghe An province sentenced him to five years in prison. 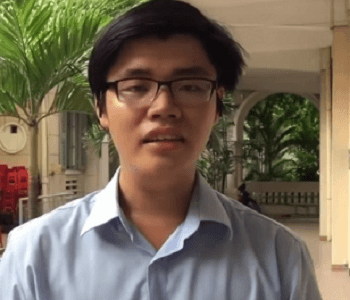 Tran Hoang Phuc, 23, was convicted to a six-year prison sentence for “conducting propaganda against the state” for posting material critical of the Vietnamese government. 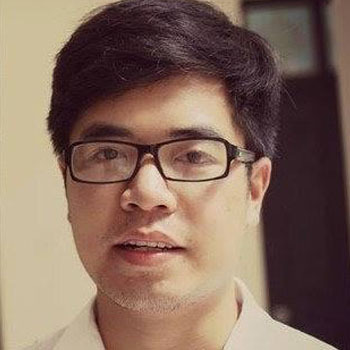 Tran Hoang Phuc is a student from the Law University in Ho Chi Minh City and a member of the Youth Southeast Asian Leaders Initiative (YSEALI). He began participating in social activities in recent years, including by helping flood victims in central Vietnam and participating in pro-human rights activities organized by the Redemptorist Church in Ho Chi Minh City. In May 2016, he publicly boycotted the national election in protest of its pre-determined outcome in a one-party state. Also in May 2016, Tran Hoang Phuc was invited to a meeting of former US President Barack Obama with members of YSEALI during his visit to Vietnam. Tran Hoang Phuc brought documents related to the environmental disaster in April 2016 off the central coast of Vietnam caused by Formosa, a Taiwanese steel company. As he was waiting in line to enter the meeting room, public security officers arrived and took him to a police station for interrogation. According to Tran Hoang Phuc, the police questioned him about his communications with the United States consulate in Ho Chi Minh City. In October 2016, Tran Hoang Phuc participated in a meeting in Vung Tau called “Youth and Civil Society,” organized by rights activists. Within minutes, the police broke in, dispersed the meeting, and detained several activists for about 10 hours. Tran Hoang Phuc reported that he was beaten and his cellphone confiscated. In April 2017, Tran Hoang Phuc and fellow activist Huynh Thanh Phat were abducted in Ba Don, Quang Binh province, by a group of men in civilian clothes wearing surgical masks. The anonymous men used shirts to cover the activists’ faces, pushed them into a small van, and drove them away. During the ride, the men continuously beat the two activists. Tran Hoang Phuc wrote on his Facebook page that the men slapped and punched him. The two were taken to a deserted area in the forest where, according to Tran Hoang Phuc, the men “used bamboo sticks and belts to whip them.” The men took their wallets and cellphones and abandoned them. In June 2017, the police arrested Tran Hoang Phuc in Hanoi for storing and posting documents that “propagandize against the State of the Socialist Republic of Vietnam” and charged him under article 88 of the penal code. Shortly after his arrest, a group called “Vietnamese Students for Human Rights Association” announced its formation. According to the group, Tran Hoang Phuc is a founding member. The goal of the association is to promote reforms in universities and establish academic freedom in Vietnam. In January 2018, the People’s Court of Hanoi convicted and sentenced Tran Hoang Phuc to six years in prison. Vu Quang Thuan, 51, was convicted to an eight-year prison sentence for “conducting propaganda against the state” for posting video clips critical of the Vietnamese government. Vu Quang Thuan, also known as Vo Phu Dong, began his pro-democracy activism in 2007 when he and fellow activist Le Thang Long founded “Vietnam Restoration Movement” (Phong trao Chan hung nuoc Viet), which advocated for a multi-party and democratic political system. According to Le Thang Long, the goal of the movement is to advance “Corporate reform, non-violence, dialogue, and listening for the mutual and long-term interest of the country.” Le Thang Long was arrested in June 2009 and charged with subversion. He served three years in prison. Vu Quang Thuan fled to Malaysia where he applied for asylum. 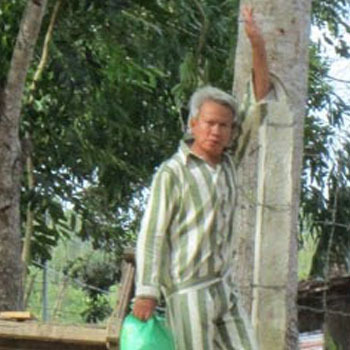 While waiting for his case to be heard, Vu Quang Thuan recruited members for his movement and advocated for the rights of Vietnamese laborers working in Malaysia. He told a reporter at Radio Free Asia that he read almost 1,000 labor contracts in which [Vietnamese workers] are not allowed to “join any party or organization, participate in any protest, love and marry any foreigner.” According to the Vietnamese police newspaper An ninh The gioi (World Security), in February 2010, Vu Quang Thuan helped organize three public protests in Kuala Lumpur outside the Vietnamese embassy in Malaysia and the office of the Malaysian prime minister to urge Vietnam to release political detainees and respect freedom of speech, press, media, and association. In April 2010, Vu Quang Thuan attempted to self-immolate at the Petronas Towers in Kuala Lumpur to protest Malaysia’s deportation of two members of the Vietnam Restoration Movement. He was arrested by Malaysian police and deported to Vietnam in February 2011. Vu Quang Thuan claimed that he had been issued with a document identifying him as a refugee but this was confiscated by the Malaysian police. Upon arrival at Tan Son Nhat airport in Ho Chi Minh City, he was arrested and charged with “conducting propaganda against the state” under penal code section 88. He was released in 2015, after which he immediately went back to activism by using Facebook and YouTube to advocate for democracy and a multiparty political system. 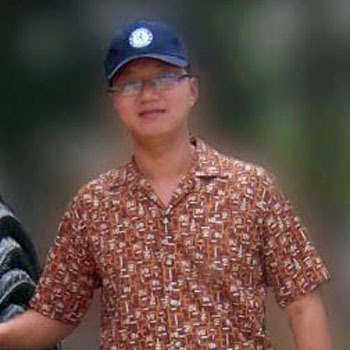 In March 2017, the police arrested Vu Quang Thuan for posting documents that “propagandize against the State of the Socialist Republic of Vietnam” and charged him under article 88 of the penal code. In January 2018, the People’s Court of Hanoi convicted and sentenced him to eight years in prison.